Last night the heat wave finally broke thanks to a major-league spanking bestowed by the mother of all storms. Power flickered for hours. Rain was falling so hard it was almost horizontal. My living room window was opened just a crack and I experienced a steady, refreshing mist of cool water as it passed through. 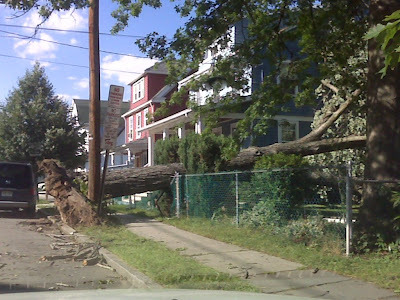 This morning, power was still out through most of New Jersey, debris littered the streets, stoplights were replaced by standing cops directing traffic and mighty trees were felled. 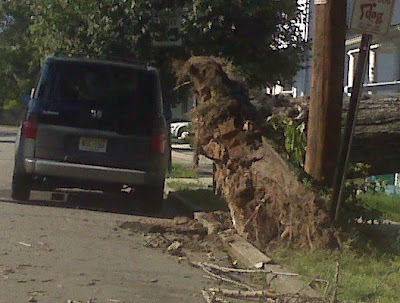 Thank God it missed the two houses it fell between.